How to Create a Damn Good Email Signature For Your Mac? Netiquette is vital in modern society, particularly in business. Not being able to talk to the sender in person, the receiver usually creates his or her first impression judging by the text and its look. And when we speak of business and potential customers, the first impression cannot be underestimated. The topic of the letter, style of the text, the structure of your email – everything is important to attract the client’s attention. No less important is the personal signature in the email. 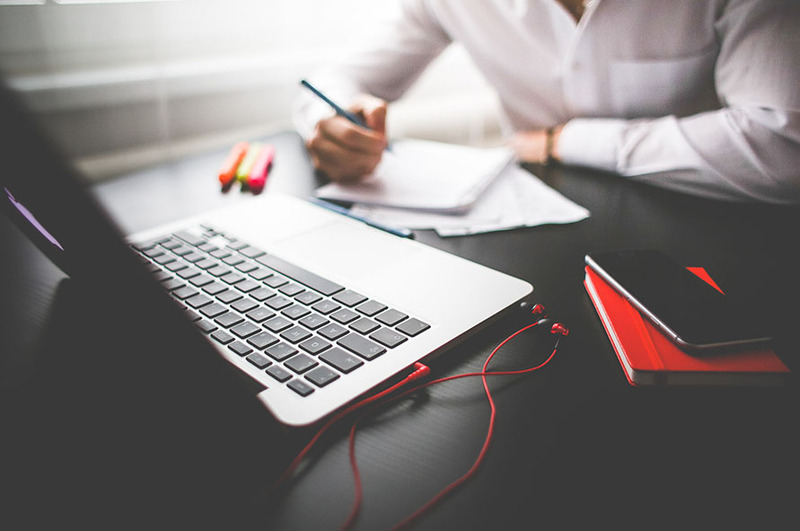 Is email signature so important? Studies show that personal signatures increase click rate by up to 500 %. Creating professional and appealing email signature, you increase your chances of success. Signing your letter, you provide the necessary information about yourself and your business, and offer the customers easy way to contact you. Preserving a good balance between laconic and overwhelming signature is crucial. Too little information deprives you of the chance to find more customers and brand yourself interesting in their eyes. At the same time, too long and detailed signature looks like spam and may discourage the reader to follow the links or contact you at all. 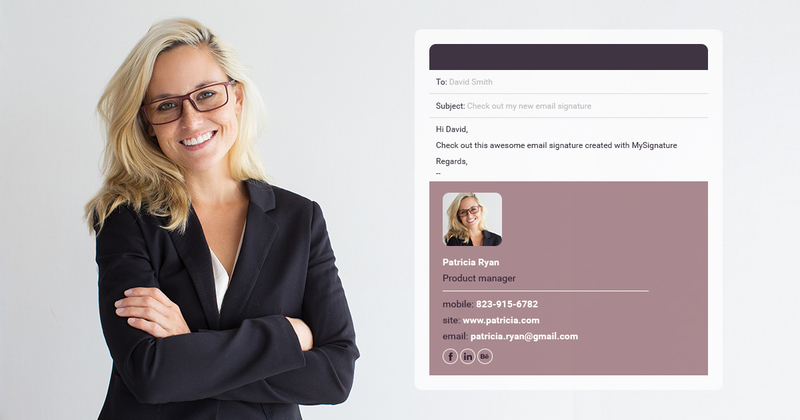 So how to create an attractive email signature? The codes and design should be as simple as possible. Use minimum graphic elements. Do not use many fonts. Order the information logically and use size difference only to emphasize the most important part. Pay attention to the fact that many emails are opened on the mobile devices. Make the last lines of your letter adaptable. The signature should be informative, professional and not too long. To highlight your email signature, use the colors of your brand, or any two colors (not more – this will create a mess). Check your contact info: have you added a country code in front of your phone number? Can a person click on your email address? Use an image in your email signature; it will look more appealing. By the way, choose the professional photo, not the one with a beer or your pet. Include the possibility of arranging an appointment directly through your email signature with the help of the booking tools. Use one text style for your letter and signature. You can make the links in your email signature trackable, and check whether people are clicking on them. Avoid any irrelevant information in your signature. Update your email signature whenever your goals change. As you can see, it’s not so easy to create a good-looking professional signature for your official letters. And if we talk about corporate emails, things become even more complicated. Email signature here does not represent a person (entrepreneur, freelancer, etc. ), but the company, therefore, it should meet some general corporate standards. As a rule, companies have their templates for the emails, with the proper email signature included. However, someone at some time created this template, right? And what if you should become this person at the moment? Good news for you: there is an easy solution how to create a nice-looking and free email signature quickly. An email signature generator is a service with a lot of ready-to-use templates available. Also, it provides a possibility to link your social pages to your correspondence. 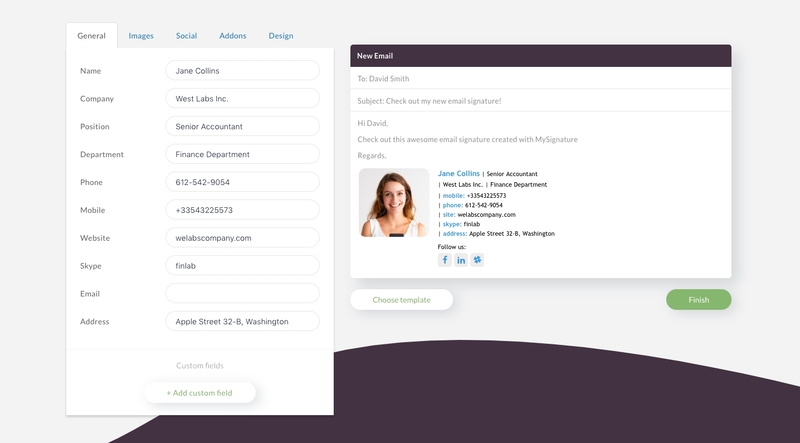 Using email signature generator, you can develop unique email signatures both for business and personal purposes. It is possible even if you have no idea how to use HTML. Services are very user-friendly and designed both for professionals and “newbies” – they guide you through the whole process of signature creation. Select an email platform, whether it will be Gmail, Apple Mail, Outlook, Yahoo mail, or any other – you will choose from the list and won’t mistake. The platform is important for proper configuration of your signature. Select the template that will be the most suitable for your goals and look the most attractive to you. Fill in the form with the required personal and company information. As a rule, this is your first and last name, your job title, company name, website, office phone and office address, your professional social media accounts, your logo and image if there is any. Sometimes you will include some specific lines (i.e., contact info of the company’s support, NDA notification, motto, etc.). Check all the changes that you have made. 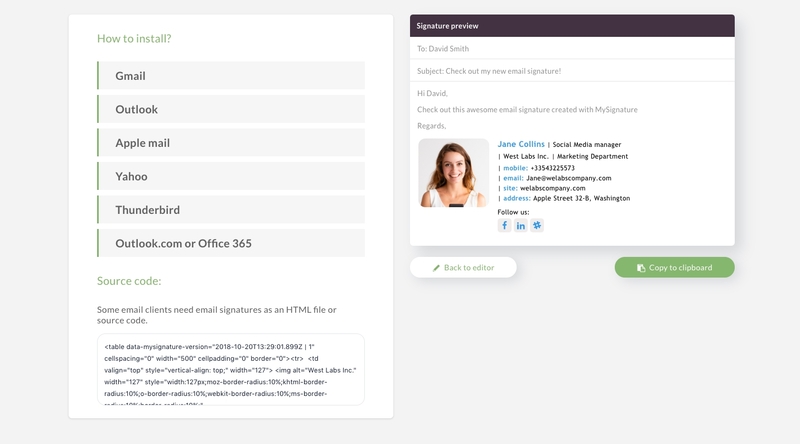 Click “create signature” or “apply signature” to implement it into your email and start using it. Check your new free email signature by sending a test letter. Is everything correct? Haven’t you forgotten anything? Spelling mistakes should be checked as well. One more tip to consider is using a flexible template for your email signature. This way you will always be ready for rebranding, or just making something new and more interesting. Another thing you should pay attention to – the proper use of social media links. If you want to add links to your Facebook and Twitter accounts (etc. ), you’d rather use your corporate profiles. It is better to avoid any personal info in email signatures – keep professional. Always remember that your email signature represents you as a specialist. This is the part of your professional identity and a key to successful corresponding with your customers, present and potential. Limited technical skills should not hinder your career goals – the fact that you are not acquainted with HTML, doesn’t mean that you are a bad interior designer (or whatever is your business). Anyone has a chance to look professional and prove his/her competence to the customers. With the help of free email signature generator, you can easily create a damn good signature for your Mac (or whatever) and stay in line with the leading businesses.